Starting Monday, July 9, we will be repairing a 185' section of the main sewer line. The estimated project completion is the end of July. The breezeway will be fenced off around the project site and there will be no access to the loop area or through the drive under the Angel Wing, between the Sanctuary and Allen Hall, (as indicated on the map in RED). Please take this into consideration when planning your visit. 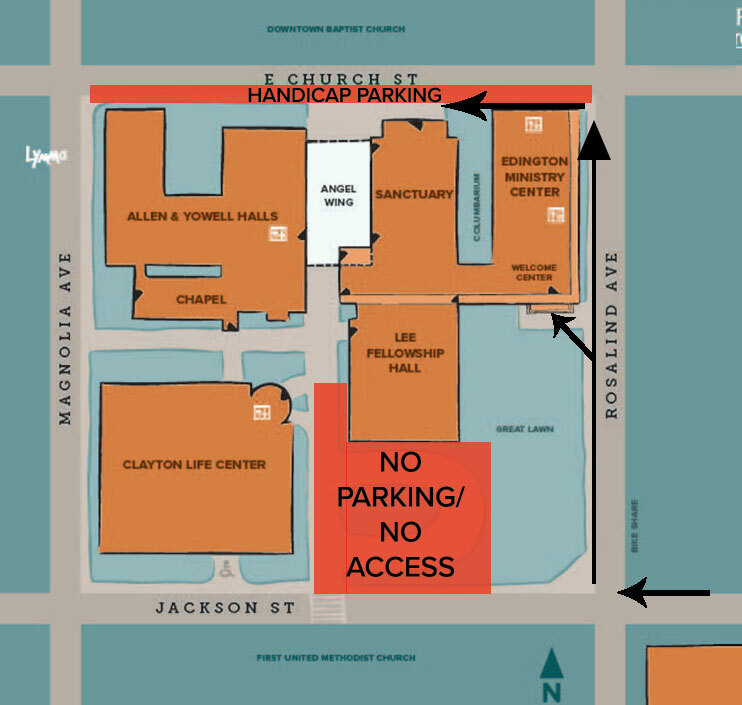 If you are a Sunday PASS holder, there will be additional handicap parking available on Church Street on Sunday mornings. For your safety, we ask that you please follow the directional signage on campus.